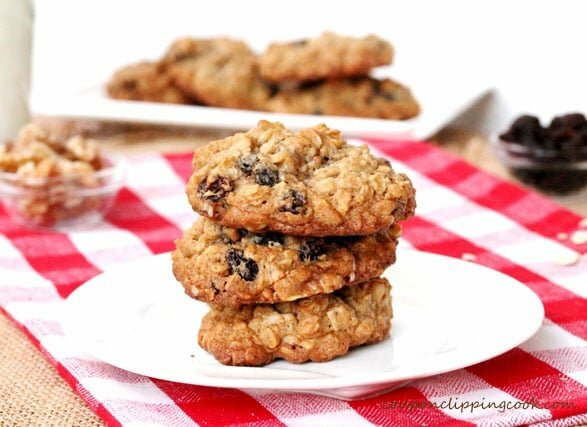 These are some meaty, chewy oatmeal cookies. 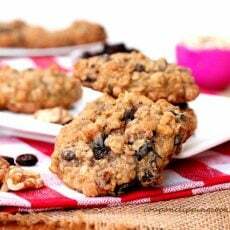 They’re soft in the middle, and filled to the brim with raisins and walnuts. 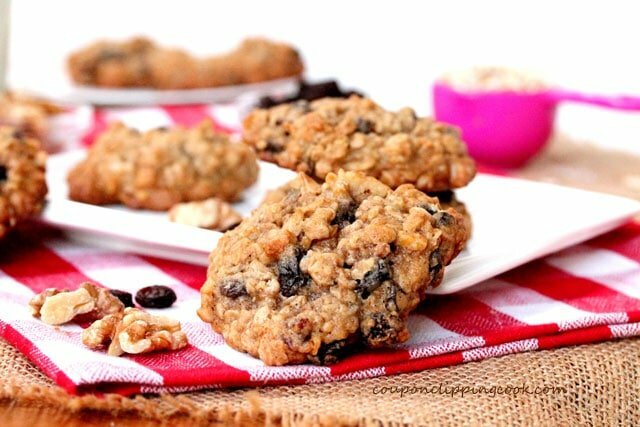 It’s handy to have these cookies on hand not only because they taste really really good, but they make a wonderful snack, dessert or even a quick on-the-go breakfast. 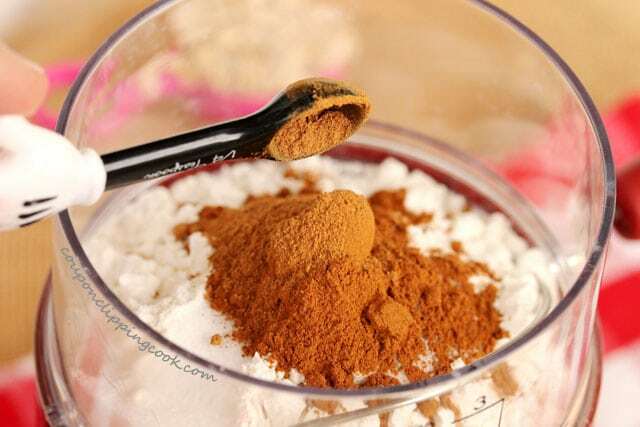 Just a bit of pumpkin pie spice is added to the mix to give the cookies a subtle taste reminiscent of cloves and cinnamon. Since pumpkin pie spice may not be a typical pantry ingredient, it’s optional for these cookies. 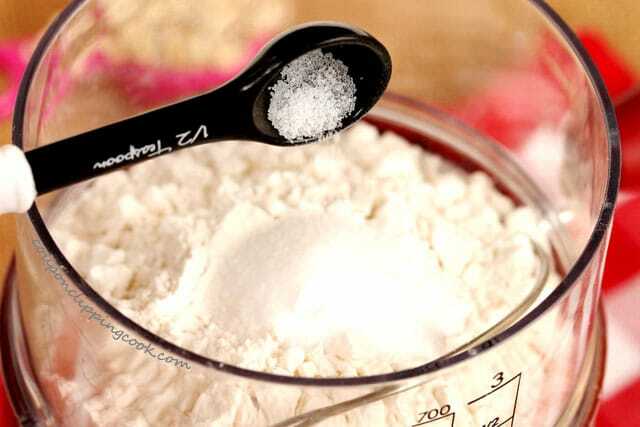 The dry ingredients in this recipe are sifted to get rid of any clumps in the flour or other dry ingredients, but feel free to whisk the dry ingredients together instead which has a similar effect. 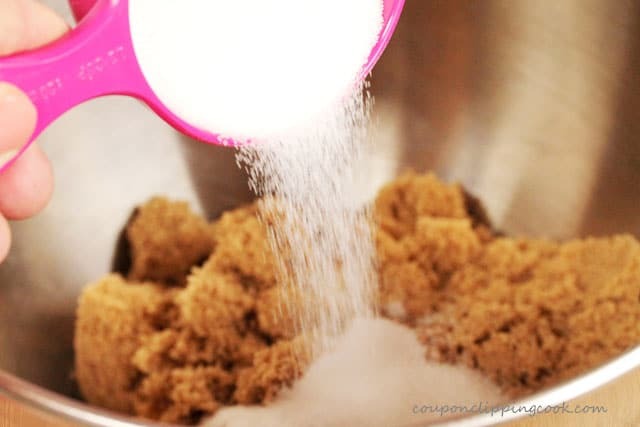 These cookies are made with extra salt which adds a nice taste along with the sweet from the brown and granulated sugars. 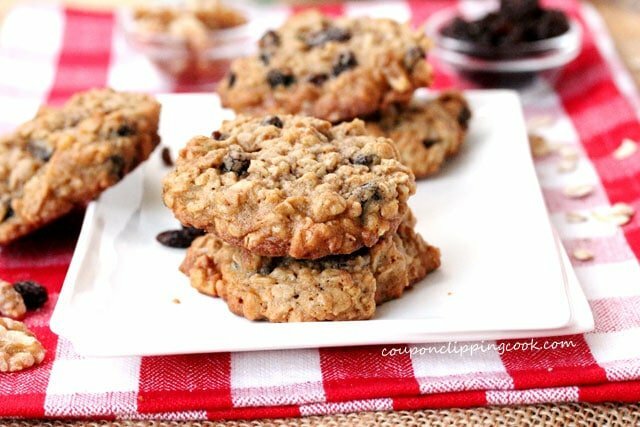 And I especially love that there are a good amount of raisins and walnuts in these cookies which taste so good with the cinnamon flavor and the texture of the oats. 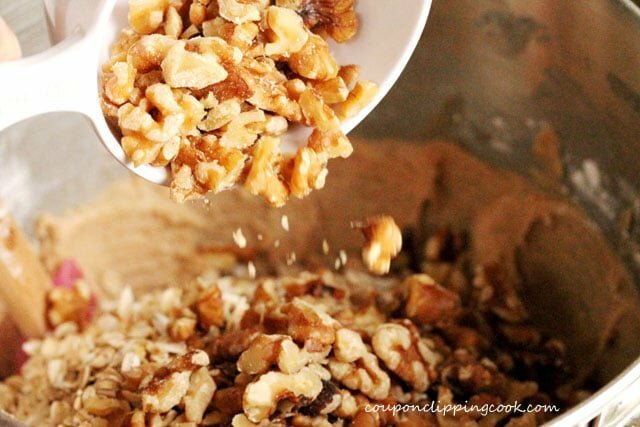 If you’re a fan of raisins and walnuts, here are more recipes that also have both raisins and walnuts in them “Tuna Salad with Raisins and Walnuts“, and “Crispy Apple Raisin and Walnut Salad“. 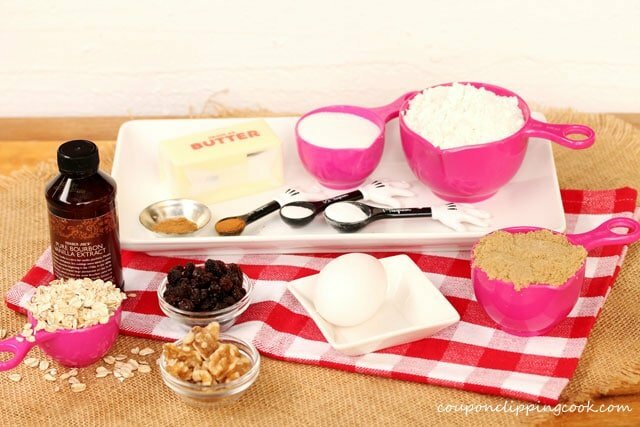 Let’s check out the ingredients to these oatmeal cookies. 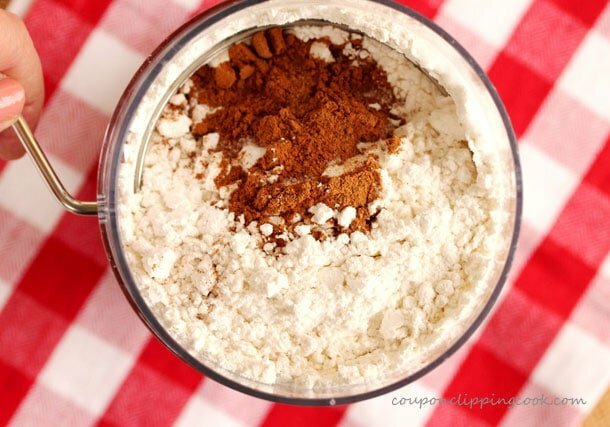 and pumpkin pie spice which is optional. 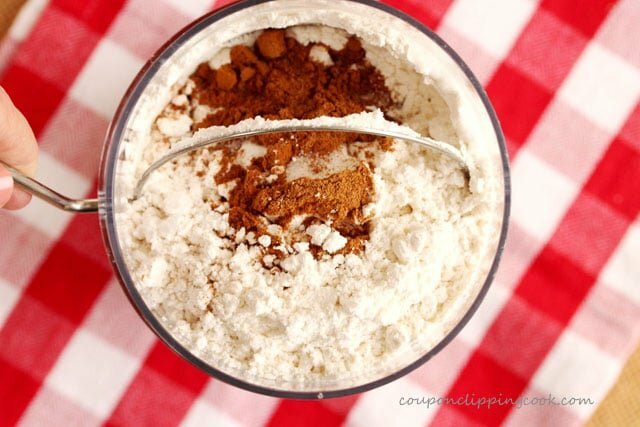 TIP – as an alternative to sifting these ingredients; add them to a medium size bowl and whisk together which should have a similar effect. 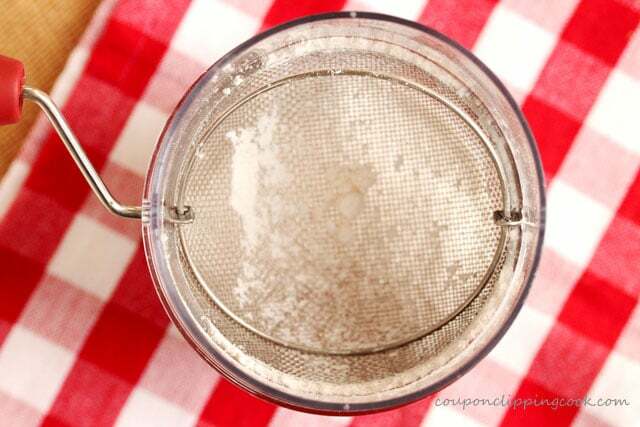 …and sift away. Set aside for a moment. 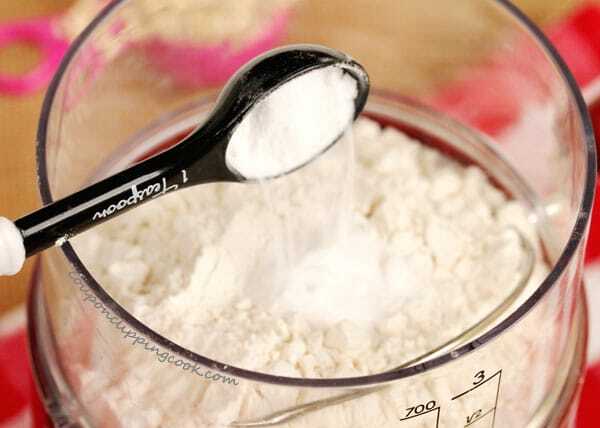 Beat until the mixture turns a light color. 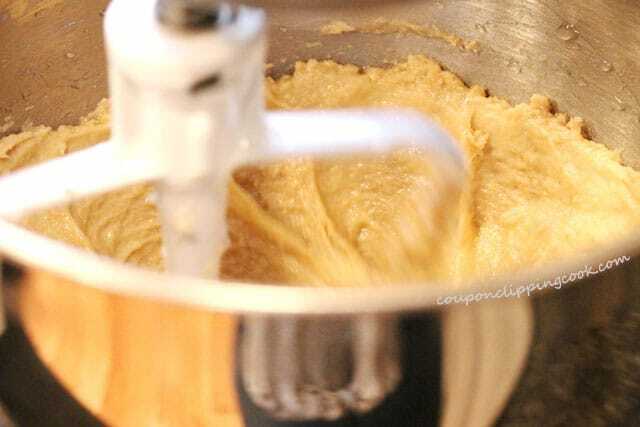 If using a stand mixer, the flat paddle attachment works well for this. 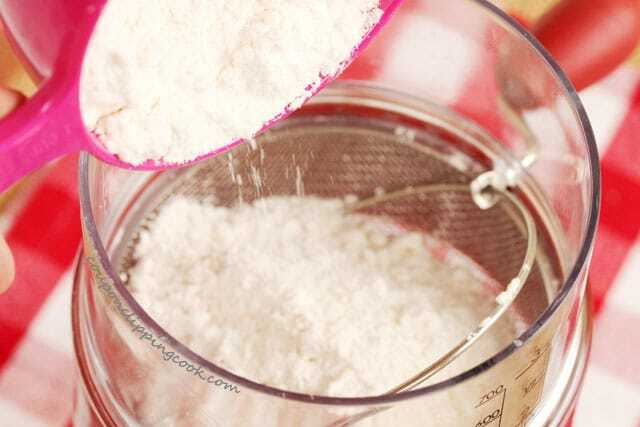 …gradually beat in the flour mixture. Hold on, here’s a couple stragglers. 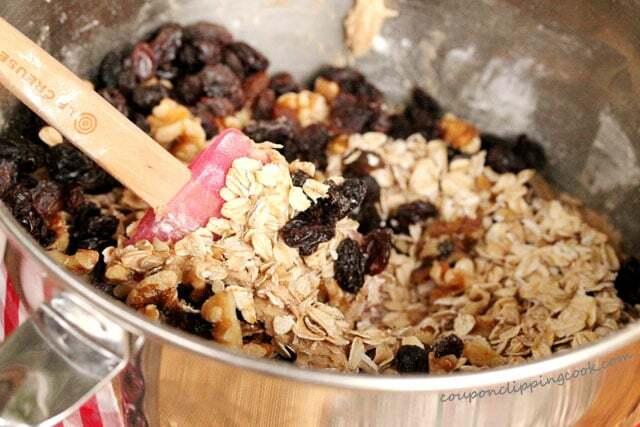 …stir the ingredients together until incorporated. 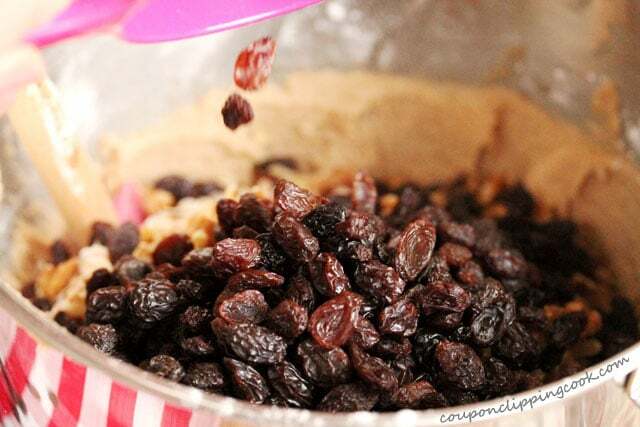 Drop the dough by rounded tablespoons (about 2 tablespoons per cookie) onto parchment paper-lined baking sheets. 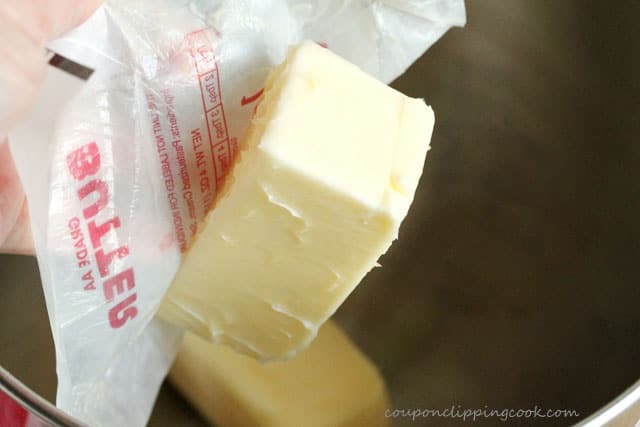 TIP – This is the batch I tried baking without the parchment paper and they didn’t hold their shape as nicely as the cookies baked on parchment paper. So I would definitely recommend using parchment paper if you have it. Bake in a preheated oven until the edges are a light golden brown and the middle is soft (about 10 minutes). Then enjoy each and every delightful bite. 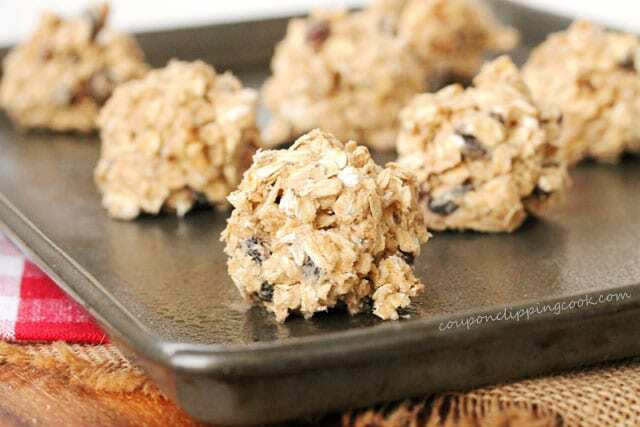 Recipe adapted from Quaker Oats Vanishing Oatmeal Cookies; and inspired by Mrs. Fields Stuffed Oatmeal Cookies, and Martha Stewart’s Anytime Oatmeal Cookies. 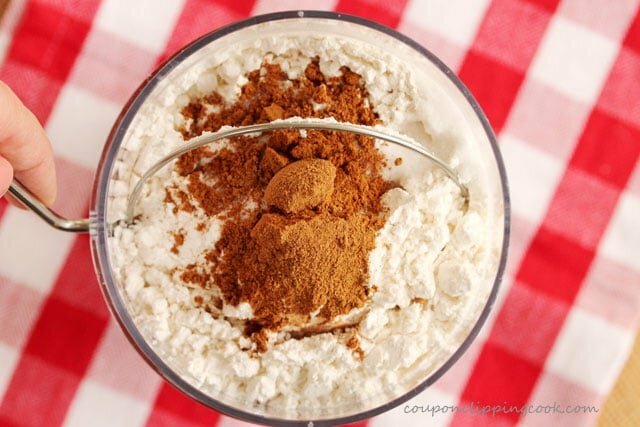 Sift or whisk together the flour, baking soda, salt, cinnamon and pumpkin pie spice. 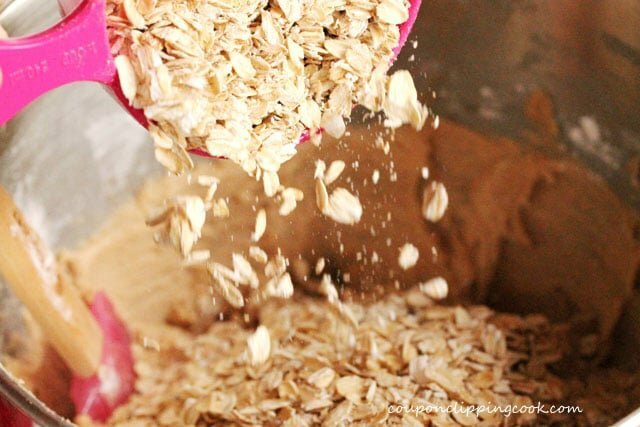 Set the dry ingredients aside. 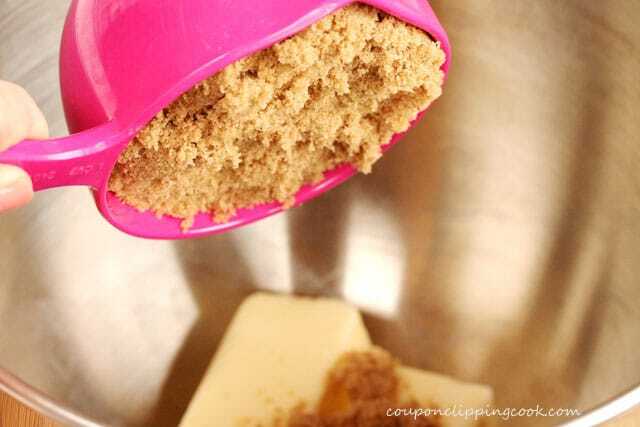 In a large mixing bowl, add butter, brown sugar and granulated sugar. 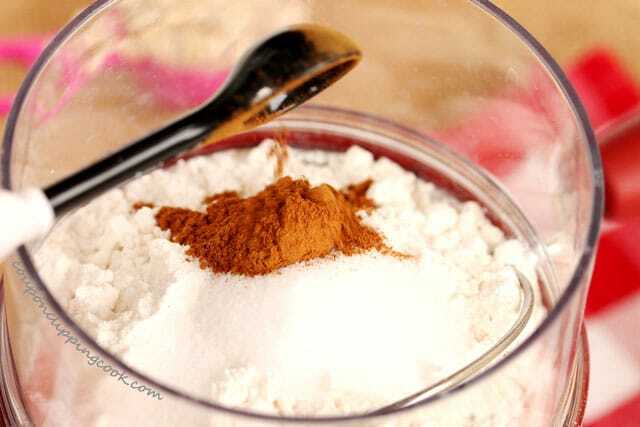 Beat until the mixture turns a light color. If using a stand mixture, the flat paddle attachment works well for this. 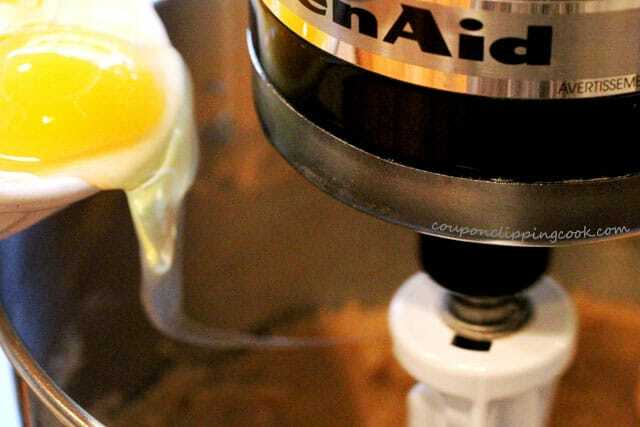 Beat in the eggs and vanilla. 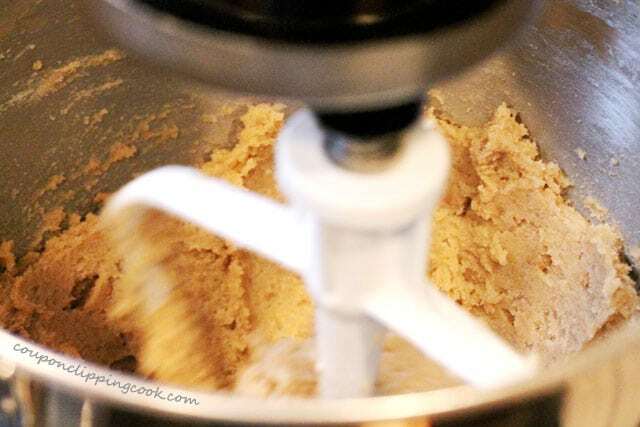 Set the mixer on low speed and gradually beat in the flour mixture. 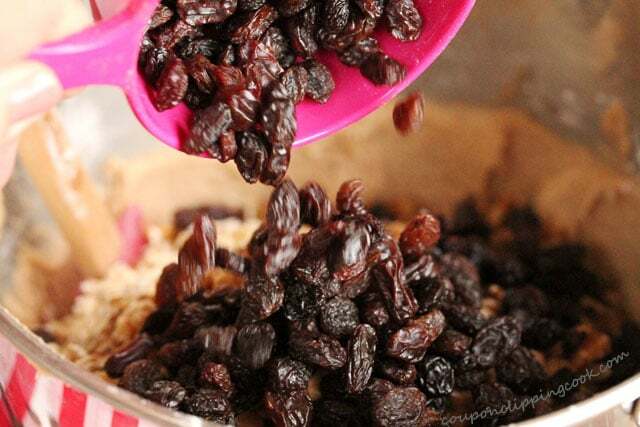 Using a large sturdy spoon or spatula, stir in the oats, nuts, and raisins. 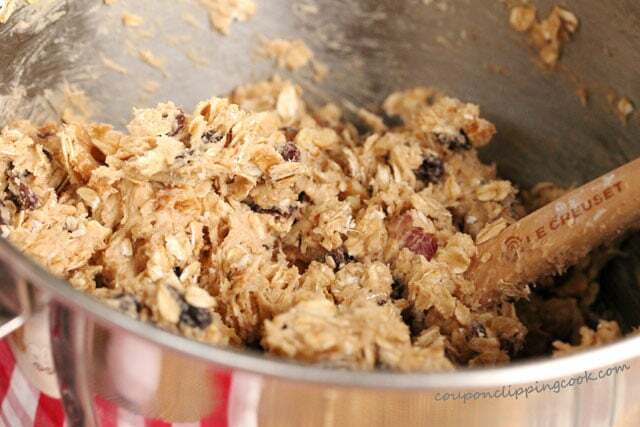 Recipe adapted from Quaker Oats Vanishing Oatmeal Cookies; and inspired by Mrs. Fields Stuffed Oatmeal Cookies, and Martha Stewart's Anytime Oatmeal Cookies. 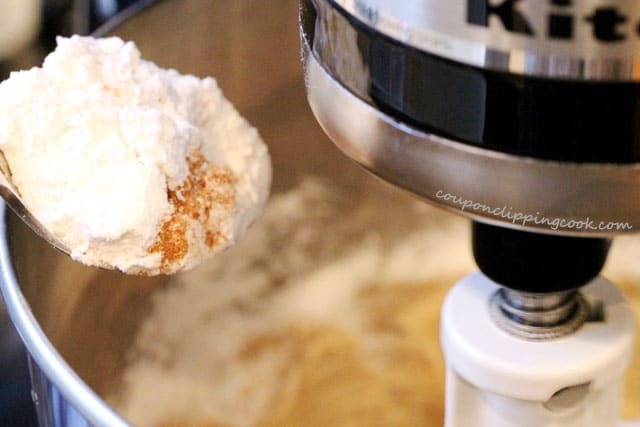 Certain dry ingredients in this recipe are sifted to get rid of any clumps in the flour or other ingredients, but feel free to whisk these ingredients together instead which has a similar effect. It's best to bake these cookies on parchment paper-lined cookie sheets because the cookies tend to hold their shape better than when not using parchment paper as a lining. 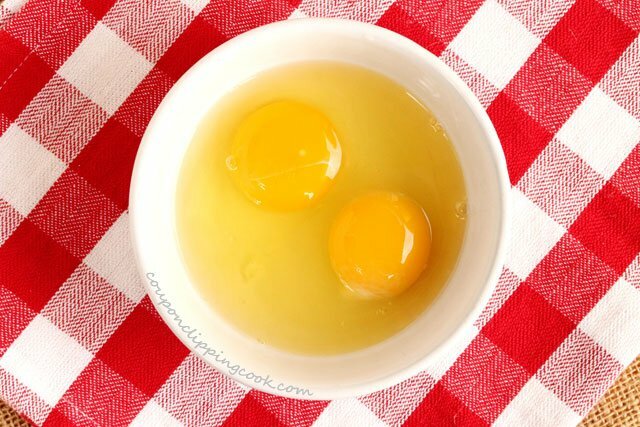 This recipe was originally posted on December 17, 2013.